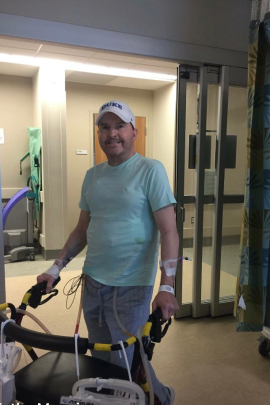 Patrick Mannion received a double-lung transplant in May 2017 after being diagnosed with idiopathic pulmonary fibrosis, a progressive, life-threatening lung disease. Through a transplant fundraising organization, HelpHopeLive, he has raised nearly $115,000, twice the original goal to help pay expenses that insurance didn’t cover, including copays for costly anti-rejection drugs. Two years ago, Mannion, of Oxford, Conn., learned he needed a double-lung transplant after contracting idiopathic pulmonary fibrosis, a progressive, fatal disease. From the start, hospital officials told him to set aside $30,000 in a separate bank account to cover the costs. But when patients need to raise money, they should use fundraising organizations specifically aimed at those costs, transplant experts say, including HelpHopeLive, the National Foundation for Transplants and the American Transplant Foundation. There’s no guarantee funds generated through such general sites such as GoFundMe will be used for the intended purpose. In addition, the money likely will be regarded as taxable income that could jeopardize other resources, said Michelle Gilchrist, president and chief executive for the National Foundation for Transplants.